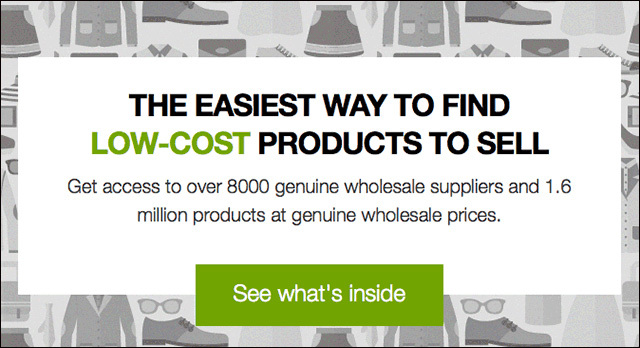 Directory of Australian wholesale dropshippers and drop shipping retailers. Welcome to our Comprehensive Dropshipping Guide about starting an ecommerce dropship business. Drawing from resources available from some of the ecommerce giants who are consistently on top of their game in this space, we aim to write to you from multiple perspectives, giving you a deeper understanding of the dropshipping model. Some of the statements and examples presented here may be from people who are already running successful dropshipper reliant businesses, dropshipping suppliers themselves, agency members who design websites for new online entrepreneurs, agency members who are responsible for effectively marketing ecommerce stores as well as retail operators who have been running brick and mortar and online retail businesses for many years and can bring a wealth of knowledge on the subject to the table. What is the Comprehensive Dropshipping Guide About? In this Comprehensive Dropshipping Guide we will explore some facts and misconceptions about the dropship concept and wherever possible we will aim to back things up with real examples of dropshipping working, or perhaps for some, not working. Dropshipping has been around since the early beginnings of the internet and its use by everyday consumers. As the first ever online stores began to pop up online, dropshipping was born and some may argue that it is in fact drop shipping that is responsible for the exponential growth in online retailing. This of course does make sense as it allowed people with very little capital to start online businesses, forming new online stores with an ever expanding catalog of goods and categories. There were times where dropshipping was new and it presented real opportunities to people wanting to start an online business, and there were also times where the concept has been exploited by some and given somewhat of a bad rap. Nonetheless, one thing is for certain, as the retail landscape continues to evolve and now in 2017 online retailing in as common as brick and mortar retailing, dropshipping continues to be the major driving force of change and innovation within the online retailing space. Today, dropshipping is more popular than ever and is used by the the sole mum and dad operators with a thin budget, as well as large scale global retail giants. The attraction of course being the level playing field, where all involved can compete against each other. Let’s continue to the next section of the Comprehensive Dropshipping Guide and explore in detail what dropshipping really is. 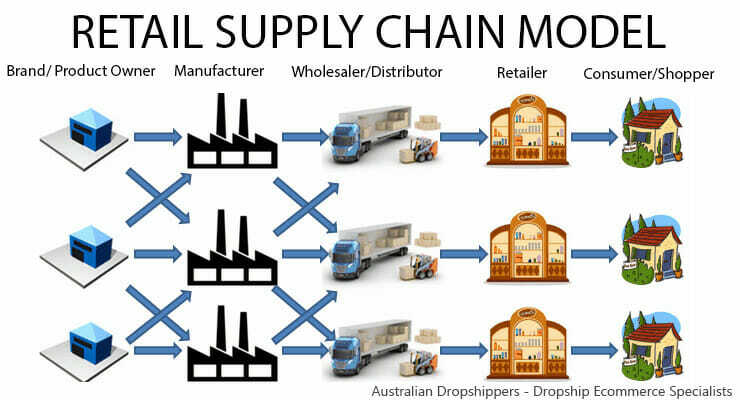 Supply Chain Model – What is retail? How is online retailing and dropshipping changing the traditional retail model? Choosing the right Dropship Products for your Venture – Do you already know what you want to sell online? or are you maybe open to some suggestions on how to approach this important decision. After all, the niche you choose will require your undivided focus and efforts to succeed. Sales Platform – Your Ecommerce Website selling Drop Shipped Products -A quick look of what is an actual online store. 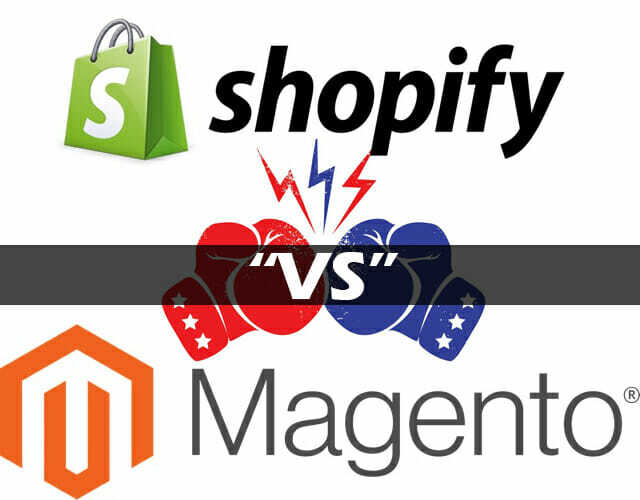 Shopify Vs Magento – In this section we take a look at two of the worlds most popular online sales platforms. This is your time to choose which online store software package you will be using to build your online store. When we talk about the supply chain model, we are really referring to the journey a finished product makes to get from the factory where it is produced, to the checkout where a consumer had just purchased this item. This cycle is a micro-economy of its own as it involves many processes which form this supply chain. There are resources and materials necessary to manufacture the goods, as well as the services that are required to transport, store and distribute, the goods. The process of manufacturing and distributing products on a global scale is big business, and it often means that a lot careful planning needs to take place to ensure the most economical way of producing those goods and getting them to the consumers. Some of these processes might seem a bit trivial to the outsider looking in on the model if the grand scale of the operation is not fully understood. Did you know for example, that a steel dumbbell that you might purchase at your local sports shop might have been around the world before you purchased it? We all know that China is the manufacturing powerhouse of the world, however a lot of the resources that are used in the production of goods actually come from another part of the world. So, let’s say you are in a sport store in LA, consider this. The steel to make that dumbbell most likely got mined in Western Australia, then was transported to China to be made into the finished product, then again transported to the United States to be distributed and sold throughout local fitness stores. Whats even more mind blowing is if you imagine being in Perth, Western Australia buying this dumbbell. This would mean that the steel to make this dumbbell has been mined literally “down the road”, then exported to China to be manufactured, then sent back to Western Australia to be resold as a dumbbell. Sounds crazy right? 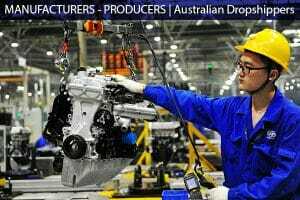 Well it is making perfect economic sense, and it’s that savings cost of few cents on the cheaper labour costs in China, that are making this whole production and distribution cycle more profitable than any other means. Manufactures are responsible for transforming the raw materials into finished goods. This involves gathering the necessary resources such as the materials needed to manufacture the goods, organize any moulds necessary, organize the human workforce necessary to operate the machinery throughout the manufacturing processes and so on. The inner operations of each manufacturing plant differ from industry to industry. For example any manufactures that produce food items that are consumed regularly would operate around the clock. On the other hand manufacturers who let’s say produce furniture would have the plant sitting idle until an order has been received, then production begins and the plant shuts again until next order is received. Buying your goods directly from the manufacturer is hands down the best way to get your goods at the best possible price, however this is not always an option. Manufacturers are not always the product owners. It would be the perfect scenario to be able to approach a manufacturer and ask to purchase some products from them so you can resell those goods online. However, manufacturers are in most cases just performing a service and fulfilling an manufacturing) order that a brand or company might have placed with them to produce an x amount of products. There really isn’t any spares just lying around that you might be able to purchase. There are no spares because as we mentioned before how steel is shipped across the world to make those small savings, the operation is so tight that only the right amount of resources is assigned to produce the exact number of items required. Anything more or leftover, actually counts as wastage and therefore an inefficiency on the cycle. Some manufacturers do their own thing. Each manufacturing plan is a business of its own, and if there are no production orders booked, some manufacturers can continue operations really just to keep the workforce busy. A lot of OEM Manufacturers will come up with their own designs and produce some items which can then be advertised as “ Available Products” – products that can be ordered. There are some manufacturers that offer dropshipping services. Manufacturing businesses like any other business, face challenges of competition, and this is why over the past few years we have noticed quite a few manufacturers start to provide drop shipping services. Some manufacturers produce excess items to be able to fulfill smaller orders and split orders that may be received. Usually when a large order is received, the factory goes into full production swing. However since the GFC of 2008 things have changed a little. Wholesalers and Retailers have begun to demand smaller orders to cope with the increasing pressures of diminished consumer demand driven by sluggish economic activity worldwide. The result is manufacturers started to allow multi item orders where the buyer is able to order several different items to pack into one container, rather than have strict limits of larger Minimum Order Quantities (MOQ) which would usually fill a full container with the one type of item. Since then, the consumer demands have recovered as figures show, retail spending continues to climb driven by strong consumer demand for new products. However now, there are more retailers offering more products than ever, and this is because manufacturers are still allowing “multi item per container” orders. Manufacturers have evolved over the past decade and now make excess products to have on hand and in some cases allow retailers to draw on their stock levels by providing drop shipping services and shipping the good directly from the manufacturer’s production floor and warehouse, to the retailer’s customer/consumer. 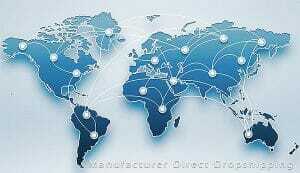 Wholesalers basically purchase large quantities of goods from manufacturers and then resell those goods to retailers. 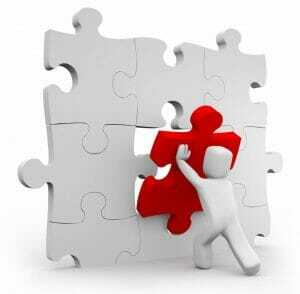 In most cases, wholesalers will specialise in a particular segment or a group of related segments and categories. It is not common for a wholesaler to be specialising in unrelated items such as let’s say car parts and multivitamins. It’s not unheard of, but not common. It is more likely that the wholesaler will specialise in car parts, tyres, lubricants, tools etc, giving the retailer a one stop point to obtain their related products. Wholesalers tend to be most densely concentrated in cities where there are direct access routes to international freight ports. This is a convenient location as cargo usually makes its way via the ocean. Once the freight arrives it is usually stored in large warehouses from where it can be distributed easily across the country. The most common dropship service providers are wholesalers/importers. These are the companies or individuals who have access to manufacturer direct pricing for the goods and usually already have large inventories of the products available for dispatch. Wholesaling Dropshippers will almost always provide a better pricing structure for actual bulk wholesale orders over the individual drop shipped item, but this is something that is just common sense. The more you buy the cheaper it is, the old rule of thumb that exists in supermarkets, also exists throughout the entire supply chain. Wholesalers are usually set up in warehouses where all of the goods distribution takes place. It is really easy for wholesalers to incorporate a dropshipping operation into their main business. It gives the wholesaler a vertical which is profitable and does not require too much in terms of new systems being implemented as it is already using a lot of the infrastructure that has been put in place to operate as wholesale business. It takes no real effort to pick a product off the shelf, pack it and ship it. And any effort that it might take, is compensated for by slightly increased pricing. More and more wholesalers are engaging in dropshipping practices as again, it just keeps their business ticking over. Days or weeks where larger orders are not received, can be somewhat compensated for by dispatching smaller orders by the means of dropshipping. Finding supplier these days, whether the are wholesalers, wholesale drop-shippers, retailing drop-shippers or manufacturing drop-shippers is not too difficult. There are a couple of online directories that have been around since the early days of online retail, cataloguing such suppliers. You can of course do the groundwork yourself, approach manufacturers, wholesalers or other retailers to see if you can tap into their stock inventory and if maybe they might be interested in drop shipping the goods for you. This of course is a painstaking task, wholesalers and, manufacturers don’t really advertise themselves, as there is no need to. On the other hand, suppliers that have been listed in good quality sourcing directories usually are there because they are open to work with new re-sellers who are serious enough to actually invest in a membership. Another advantage of using directory listed suppliers is that most paid directories verify suppliers before they list them. Supplier verification could be to prove that they are a genuine supplier who can offer price benefits to their re-sellers, and of course that they really are a supplier and not some scammer looking to make a quick buck. 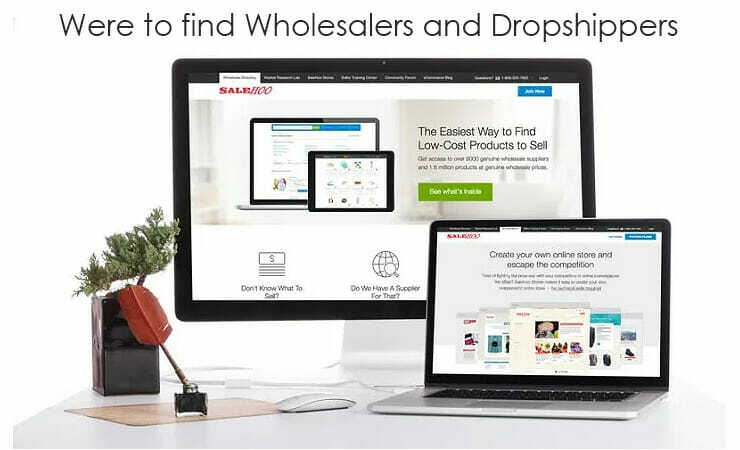 The two largest directories that list verified wholesalers and dropshippers and have over the last decade grown to be the biggest and most reputable are SaleHoo and Worldwide Brands. There is no point comparing them in the sense of which one is better or which one has overall more suppliers, or the directory membership. They all have their strengths and weaknesses and the only way to choose which one is better for you is to know which directory specialises in which region. If you are in Australia, Asia, Europe, the SaleHoo Directory is the better option for you. If you are in America or Canada, (or simply are targeting that particular region) the Worldwide Brands directory would offer you the best list of suppliers who operate in your area. There are many other smaller directories out there that list wholesalers and dropshippers, the above two are just the internet’s most trusted and most reputable. It is for this reason that in this Comprehensive Dropshipping Guide we will stick to recommending only those directories that have stood the test of time and have become the pillars of product sourcing for retail worldwide. The decision of which one you will go with, should be solely based on which region you are operating your online dropship store in. If you are in Australia, Asia, Europe and US, the SaleHoo Directory is the one that would serve you best. If you are in the USA, North America, Canada then the Worldwide Brands directory is the one for you. If you are new to the worlds of e-commerce and dropshipping, you may have already noticed that choosing your intended audiences and the products that you will sell to them is not as easy as you initially thought. As an entrepreneur, you should expect to come to various points when you will have to make educated decisions, and this is one of them. In this section of the Comprehensive Dropshipping Guide we explore how to go about choosing the products you sell through your dropship business. While your lifestyle, personal interests and knowledge of certain products may come in handy as you conduct market research about the various niche opportunities available to your business, there will come a time when you will have to decide between your personal and business interests. This is how it should work: first you conduct market research, then you evaluate your options in terms of economic feasibility. If your personal interests are still represented, congratulations! You will likely enjoy your dropshipping journey more than others. If you think that business success will be elusive if you include your individual passions, you will have to make a serious decision. The idea is to not let your personal interests obfuscate your business life. When you are the sole source of specific item as a manufacturer or exclusive distributor, you are in a good position of control that will likely bring you success, but you will not be a dropshipper. In the world of e-commerce, exclusive distribution arrangements are very high on the food chain, and thus you may want to consider them later in your career. You do not necessarily have to become a manufacturer to reach the higher levels of e-commerce. As you become an experienced dropshipper, there is a chance that you will learn to spot certain opportunities to move away from the competition and cater to a niche market; when this happens, you might be in a good position to establish a more traditional e-commerce position and propose an exclusive pricing or distribution arrangement with a supplier. In fact, if you are an ambitious entrepreneur with long-term goals on your horizon, you may wish to add this one to your bucket list. If you are the type of entrepreneur who likes to hit the ground running, this strategy will probably suit your personality; at the same time, however, it may lead you to an early exit from the business. The lowest price strategy is only sustainable when executed by the likes of Walmart in the United States or Aldi in Germany. As a dropshipper who is just starting out, you may find an easy niche that you would like to dominate through bargain pricing, but it won’t be long before competitors pounce and drive you right off the market. This is generally not a strategy you want to follow. This is exactly what you want to be doing at all times; whether you are strictly dropshipping or heading into a more traditional e-commerce direction, adding value should always be your top business priority. Adding value is easy to discuss but difficult to accomplish efficiently. To get started, you must think about your audiences in terms of prospects, buyers and customers. Your goal will always be to convert prospects into buyers and buyers into customers; to reach this goal, you have to provide them with value propositions beyond good prices. There are many ways to add value in e-commerce, and one of the best methods is by offering information that not only complements the products you sell but also sets you apart as a dropshipper. You have to provide information that can clear questions, solve problems and entertain prospects. Keep this in mind when you select your niche market because you will have to become an expert within this niche; to this effect, if you decide to enter a niche that is very profitable but difficult to understand, you will either have to learn quickly or work with associates who can help you. One example in this regard would be a dropshipper who chooses to sell chemistry kits for students; the prospects attracted to these products will expect to see a substantial amount of educational content before they make a purchase, and they may want to see even more content as they become customers. The internet has become a very visual place, and thus you should start adding value by using only the best quality images you can get. If the products you sell require guides for buyers, make sure that they are comprehensive and easy to read. You may want to invest in content creation for your product descriptions, listings, and manuals. Entrepreneurs who choose to sell products that may require components and installation can achieve business success if they know how to treat their customers. A seller who offers smart home automation products, for example, has a good chance to add value by offering various devices. A buyer who starts off with a smart home automation hub will soon become interested in smart bulbs, locks and home theater systems; it is up to sellers to offer them not only these devices but also installation guides and instructional videos. Selling products that allow for customization and upgrades is another dropshipping activity that can become profitable for entrepreneurs who add value. Dropshippers who started off as e-commerce sellers of digital content such as video games or eBooks are probably familiar with this strategy. Let’s say you start off selling downloads of the controversial yet addicting video game Hotline Miami; you know that there was a lot of expectation and clamor for a sequel, and thus you should seize this opportunity and do everything possible to connect with the game’s developers or distributors. You want to keep customers informed about how Hotline Miami 2 is coming along and what they can expect from the upcoming sequel; in the meantime, you can also steer your customers towards similar games such as Midnight Animal. With cosmetic sales, the sky is the limit in terms of adding value. Dropshippers who choose this niche have many opportunities to sell related products by creating beauty and makeup guides, particularly digital videos that have been formatted for smartphones. The opportunity to cross-sell is very lucrative for the right dropshipper who can become a cosmetics expert. As you become a more experienced dropshipper, you may want to use a customer relationship management (CRM) solution to identify those buyers who are giving you business with greater frequency. It is easier to amass repeat buyers when the products you sell are disposable; these customers need to be treated like royalty, and thus you should target them with coupons, discounts and freebies as often as possible. If you choose to sell products offered on the business-to-business (B2B) marketplace, you will have a greater opportunity to increase your bottom line by cultivating relationships with your clients. 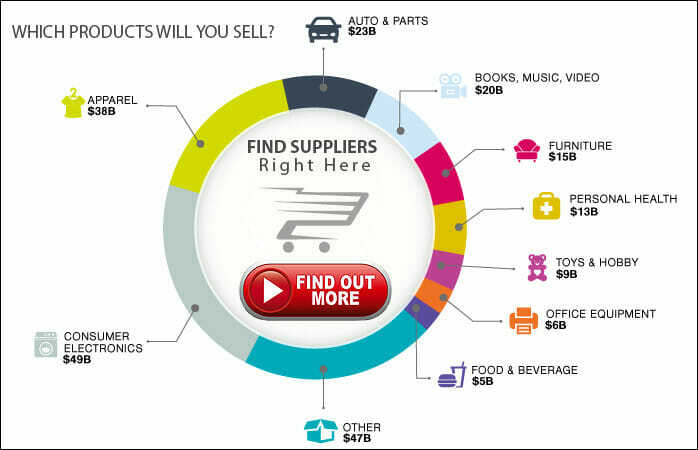 B2B buyers tend to acquire items in large quantities and with greater frequency. When dealing with B2B clients, you should keep in mind that they tend to be very conscious about pricing and they may also demand fast delivery. People who purchase items to support their life passions and interests are some of the best customers you could hope for. For dropshippers, catering to people who are active in certain hobbies means being able to offer equipment, tools, supplies, replacement parts, accessories and new products. Hobbyists can be very prolific buyers; to this effect, think about street racers who spend fortunes swapping out parts for their cars. When choosing the products that will move more efficiently within your niche market, you will have to consider certain characteristics pertaining to pricing, availability, shipping, and marketing. If you choose to offer high-priced items, you will have to provide a support platform that can reassure buyers before they place their orders. Anything over $200 will prompt prospective buyers to contact you with questions about the products you offer; if this is the case, you will have to adjust your operations accordingly to account for the effort of providing a support platform. When you come across items that are sold with an expectation of minimum advertised pricing, you should view this as an opportunity to set e-commerce store apart from the competition. For the most part, your competitors are going to offer products on the higher end or the manufacturer’s established range; this is your chance to dropship these products at the lower range while focusing on marketing and customer service operations that your competitors are not engaged in. Have you noticed that many dropshippers choose to sell accessories for mobile phones? The reason for this trend is that accessories are part of a market that offers higher profit margins. In general, you want to offer a few high-priced items complemented with lots of accessories. Keep in mind that accessories tend to have high rates of turnover, which means that they will keep you on your toes in terms of updating the settings and listings of your online store. If you are not sure about how to implement the best marketing strategy for the products you will be dropshipping, you should take as much time as you need to formulate a plan. All products will have marketing potential; it will be up to you to realize this potential. If you blindly select products without a reasonable marketing strategy in place, chances are that you will not be acquiring many customers and will find it difficult to break even. As you research your niche markets, you may want to look for products that you know are not easy to acquire in certain regions. One idea in this regard is to offer products that brick-and-mortar stores do not regularly offer; once you have established low regional availability, your next step should be to formulate a search engine optimization (SEO) strategy since you know that your prospective buyers are going to look online for the products they cannot find at their local stores. In general, shipping smaller products is better for entrepreneurs who are new to the worlds of e-commerce and dropshipping. Larger items will always prove more difficult and expensive to ship, and this may impact your profit potential. When looking at the search location data provided by Google Keyword Tool, you should not pay attention to global queries; instead, you should focus on the data provided within the country you choose to ship and market your products in. If you are getting started in e-commerce, you may not want to evaluate broad keyword match reports; stick to the reports provided on the exact keywords describing your products. Google Keyword Tool will only give you some long-tail keyword matches for your products; it is up to you to provide more options. Let’s say the products you choose for your niche market include retro athletic shoes; you will want to evaluate long tail search queries for each of your products such as “chuck taylor Converse,” “vintage Puma,” “retro Adidas,” and others. As you start marketing your products with SEO, you will want to focus more on long tail search queries as they are generally more beneficial to your bottom line. If the niche market you choose to operate in features novelty and trendy products, you will really want to evaluate Google Trends from time to time; nonetheless, this tool is also useful for entrepreneurs who would like to see past performance for their products. Google Trends can help you decide your niche market based on the popularity of products. By evaluating the top and rising terms section of the reports generated by Google Trends, you can get ideas about goods and services that people are searching for; moreover, this section also provides you with related keywords. Another important section of Google Trends deals with search volume over time, which can tell you if the niche products you are planning to offer are drawing interest over time. You will also want to look at the geographical concentration of the search queries; this will come in handy when you decide to choose dropshipping partners such as suppliers and fulfillment centers. Finally, Google Trends also provides seasonality information so that you know if the products you offer have sales cycles; this will further give you the opportunity to design an editorial calendar for content marketing. As a dropshipper, you will find that your most powerful competitors are those that have been able to grow their online brand organically, which means that they are listed on the first Search Engine Results Page (SERP). Reaching this SEO marketing level is not easy, but it is worth every effort you can make. The Google search algorithm gives substantial rank to websites that have a high number of quality inbound links. The links that you want pointing to your e-commerce website should come from other sites that are considered to be of high authority; for example, if you decide to dropship scuba diving equipment, accessories and supplies, a link from Sport Diver magazine will be considered to be of very high quality. Ideally, your online marketing efforts should focus on getting dozens of these links. The layout and presentation of your website, along with its loading times and positive online reviews, will also play a major factor in how you will rank on the SERP. If you choose a cloud-hosted e-commerce platform known for its reliability, Google will reward your smart choice, particularly if your online store has responsive design elements that adjust to mobile devices. Building a positive online reputation for your e-commerce venture may take time, but it will work wonders in terms of SEO. One way to start building your reputation as a dropshipper is to sell your products on the eBay and Amazon marketplaces since those platforms encourage buyers to leave comments and reviews. What exactly is an online store? An online store is a Content Management Script (CMS) which has been written to display your products and handle the sales transactions. Other common terms used: online store, shopping cart, eCommerce website, dropship store webstore etc. What is required to set up a new dropship store website? this Comprehensive Dropshipping Guide is all about choosing your business name and more importantly the best way to find a good marketable domain name for your new drop-ship business. Choosing a domain name to represent your dropship business can be a very exciting yet a very challenging task because of the strict rules and regulations set by AuDA, the Australian Domain Name Authority. By this stage you either already have your business name registered and are now looking to purchase the domain name, or have the domain name and are now looking to register your business name. Tip: It is a good idea to have both of these pages opened at the same time so you can flip between them to make sure that both your business name and domain name are available. You will require an ABN to register an Australian domain name, but I’m assuming that you already have a Sole Trader business number that you may use to register the domain then later match it up with your Business name. While the match does not need to be exact, it would always be nice to have the domain name which is your online business name, match your Australian registered business name. When picking your domain name, try to be clever, keep it short and make it memorable. Domain names like business names need to be clever, quirky and stick in the mind of the consumer. This is just a quick tip that will make your brand awareness campaigns a lot easier on the pocket. If you happen to be lucky enough to secure a .com.au domain name that is so original that the .com version is also available, then that’s the one to go for. The .com version will come in handy if you ever want to expand your brand internationally, which is very easy to do with the help of USA based Dropshippers. What we see happen more and more often is Australian online entrepreneurs who have captured their local Australian market, expand into the USA market to beef up their bottom line profits. Once you struck a mutually beneficial and profitable relationship with a USA based wholesaler who is supplying your wholesale stock for your Australian customers, you may ask if they would be willing to drop ship some goods to your USA based customers. After all, remember, there are no more borders restricting this type of activity, it is more common than you think. If the exact name that you have had your heart set on is already taken don’t worry, simply grab what’s available and preferably available across all domain variations. You do not have to launch your overseas targeted site straight away, it’s just nice to know that at any point when you master your niche, you have the “passport” to expand to another country. After all, a business stops being a REAL business the minute it stops growing. The sheer definition of a Business is basically an enterprise that is constantly evolving and trying to maximise its profits, owning a .com or a .co.uk versions of your domain basically safeguards you and adds immense value to your business. 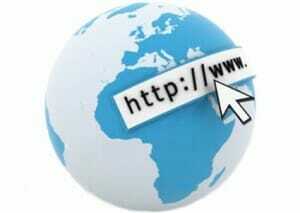 If you have any questions in regards to registering a domain name, feel free to shoot us an email, we’re here to help. When a retailer opens up a brick and mortar business, they usually find themselves locked into a commercial lease for their premises from which they carry out their business. At this point it, the business owner must consider how big of a footprint these premises must be to accommodate the display of their product range and weigh it up against the overall cost of renting those premises. As contracts are drawn up and leases signed, for a minimum period of 5 years, scalability of their physical store is pretty much set for that period of time. You can’t simply cram more stock and/or expand on your vertical product ranges at the expense of sacrificing the comfort and aesthetics of your store. At the same time, if your display stock levels drop due to a reduction in variety and limited categories of products carried, you will be left with empty shelves, large open areas and really just a waste of space. Retail space costs a lot so it must be utilised to its maximum capacity. Online stores are easier to scale, but there are still advantages for planning ahead right from the start. While there is a multitude of Content Management Systems available out there, we strongly suggest sticking to the big guns of the eCommerce industry. And those two Big Players are Magento and Shopify. Dropshipping eCommerce sales platforms can help your business sell more products to more people all around the world. Unless you are an expert at Web design, eCommerce and computer programming, you might struggle trying to create your own functional online store front. That is where eCommerce platforms come in. They provide you with the templates, shopping carts and monetary payment systems to help you make money. Each dropshipping platform has its own strengths and weaknesses. Here is an unbiased comparison between two of the top dropshipping eCommerce platforms: Shopify and Magento. Which sales platform is best for you? What Does Your Dropship Business Need? Each eCommerce software platform has its own strengths and weaknesses. Businesses would be well-served by taking the platforms for a test drive, if possible. Shopify and Magento are both industry leaders. The Shopify eCommerce software was invented in Ottawa, Ontario, Canada circa 2004. This early implementation makes it one of the first eCommerce software brands on the market. It is powered by the open source web application framework Ruby on Rails. The eCommerce platform made for you is the slogan of Shopify. The Shopify eCommerce platform allows you to take credit cards, display your products and add features. When Amazon shut down their own eCommerce platform, they selected Shopify as a migration provider. Celebrities such as Richard Branson, Angry Birds, 50 Cent and Foo Fighters use Shopify. It is also quite popular with those who flip websites. Users can choose from three versions: Basic, Shopify or Advanced. Shopify does all your hosting, so you don’t have to worry about that. Simply jump on board and go. You can’t really argue with the impressive figures. Shopify is one of the most popular eCommerce software systems around. Shopify offers a free 14-day trial. Kick the tires and see how they respond. The dashboard is quite simple with tabs for Home, Orders, Products, Consumers, Reports, Discounts and Apps. When you have a core competency, but no technical expertise, then Shopify might be just right for you. It is easy to setup. Just add the products, title and description, using the Shopify icons. You can apply discounts to an entire order, selected collections or selected products. The “Abandoned Cart Recovery” feature sends an email when a customer leaves merchandise in the cart. Some will appreciate this reminder. It is also a good way to upsell to more expensive merchandise. There are plenty of attractive templates (aka themes) that are standard with Shopify. You can choose from free or paid graphical user interface (GUI) themes. You can choose from four different month-to-month hosting pricing plans: Introductory, Professional, Unlimited or Enterprise. Therefore, you have some scalability with Shopify. You can upgrade to the next plan as your business grows. You don’t have to do your own Payment Card Industry (PCI) compliance. Shopify does it for you. This saves you time, but Shopify knows all your financial information. Shopify still charges transaction fees. Many of the other drop shipping software brands have phased out transaction fees. Not Shopify. If you need help, then around the clock customer service is available with Shopify. The software is available in 50 different languages. Shopify has solid Social Media Integration – Facebook, Twitter, Pinterest and Instagram – to name a few. Customers can choose from 1,500 Shopify apps. Some believe that the apps are necessary to get a fully functioning website. Shopify won the 2017 #1 Golden Broto Award as Commerce Playmaker. Shopify has links to Amazon and works well with Social Media platforms. Shopify is your business partner. They earn a percentage of all your transactions. You may or may not like this feature. When Should You Use Shopify? Shopify is great when you don’t have any technical knowledge concerning the Internet. You don’t need to know anything about computer programming or servers, Shopify takes care of all these features. But, understand that there is a tradeoff. Primarily, you won’t be in full control of your website. Shopify charges transaction fees and chooses your server. They offer fewer basic templates than Magento. You can create a great shopping cart for your customers, but you might not be able to tweak the descriptions or customer loyalty rewards, as easily. You will be forced to succeed within the box that Shopify has made for you. But, for those who love Shopify, that box is quite roomy. For the small startup, Shopify might be best. You can get help creating a powerful shopping cart and you can achieve your goals using this industry leading eCommerce juggernaut. Some entrepreneurs will set up a business with a website, then resell it. If you want to flip these websites, a simple solution, like Shopify might be ideal. It allows you to create websites quickly. On March 31, 2008, the Magento drop shipping software program was created in Culver City, California, United States. This is based on the open source, PHP computer programming language and MySQL relational database management system. In 2017, the Magento 2.2 version was released with improved user engagement, navigation, conversion rate and CSS processing features. Users can choose from two platforms: Community (Open Source) or Enterprise (Proprietary). You can usually download the most basic open source version for free. This has fewer built-in features, but is nice for those who understand PHP programming. The Enterprise version (aka Magento Commerce) is more costly. You will have more built-in templates, product description and customer reward functions. Discover Your Superpower is the slogan for Magento. The brand was so successful that it was purchased by eBay; therefore, if you sell primarily on eBay, you might prefer Magento. Each year, fans of the software meet at their annual conference, called “Imagine eCommerce.” There are also large MagentoLive events in Sydney Australia, usually in February. 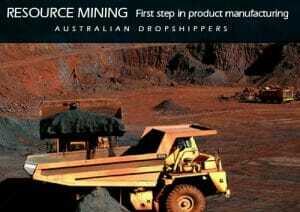 MagentoLive Australia is a great way to learn about the latest developments and to find other like-minded users of the powerful drop ship software. During the Contribution Day, users can get a hands-on experience with Magento, alongside Magento core architects ready to answer any of their questions. Magento has a solid track record. It is one of the most popular online sales platforms, out there. Magento offers a demo. The Magento shopping cart software gives you the basic infrastructure to run your online business. With Magento, you still need to pay for Web hosting, domain names, payment processing, SSL certificate and extensions. Magento has an intuitive dashboard with the following tabs: Dashboard, Sales, Products, Customers, Marketing, Content, Reports, Stores, System and Extensions. There are many features, which creates a steeper learning curve than Shopify has. Most users admit that Magento is not easy to set up. It takes time to fill in your product descriptions because you there are so many categories. In the end, those business owners with more complicated product descriptions are more likely to prefer Magento. With Magento, you can describe products in more unique ways (i.e. technical specifications). You can sort your products by ID, Thumbnail, Name, Type, Attribute Set, SKU, Material, Price, Quantity, Visibility or Color Family. All of your products will be listed in the master catalog. You don’t have to hire extra workers, you can simply automate functions, using Magento. For example, Magento can automate customer purchases no matter whether the items are on-site or off-site. Your vendors will receive product details and shipping instructions by email. Businesses will usually close merchandise out at the end of year due to taxes. With Magento, you can discount your merchandise increasing the percentage day by day (i.e. 10%, 25% and 50%). You can warn your best customers that the merchandise might be only available for a short amount of time. The more risk-adverse customers will buy early, the more risk-tolerant customers will wait for the last moment. You can make both groups happy with the heightened targeting features of Magento. It is easier to market with Magento. Choose from the following features – Coupons, Customer Groups, Display Recently Viewed, Show Related Products, Wish List and Persistent Shopping Cart (saves customer selections when they leave). You can provide more information to your customers to heighten engagement. With the advanced segmentation functions of Magento, you can also offer more personalized customer rewards. Use the customer’s “Wish List” to upsell to more expensive products. You can retain “Shopping Cart” selections, which were not completed. Sometimes, your customer does not have the money at the time, but would like to purchase the items, in the future. The Enterprise edition allows you to offer more flash sales, gift cards, coupons, membership specific discounts, subscriptions, rewards, email marketing and customer loyalty rewards than the Community version. You can target your most valuable customers. You can assign 10% (or any other discount) to one item or entire categories. The “If Then” feature allows you to set criteria before the discount will be offered. You can even link videos to products with Magento. What is the Order Status? Nowadays, customers expect you to know exactly where their order is 24/7/365. Of course, without technology, you can’t do that. With Magento, you can. Choose from 72 payment gateways available on Magento. Due to its open source status, third-party software developers are active in creating extensions for Magento. You can find numerous extensions for handling taxes, displays, purchase orders or multiple vendors. Add or remove features, as you wish. Users admit that you might need some technical knowledge or have your own technical team to optimize the Magento functionality. It is not necessarily for beginners. Travis Romine of Sharp Commerce absolutely loved the layered navigation, descriptions and segmentation enabled by Magento. With Magento, you have multiple layers for product descriptions. You can add color, size, lettering and even technical specifications. This gives you greater control over categories. These nested attributes allow you to maneuver prices, discounts and marketing features. With more complex product listings, you can customize and filter your displays, more precisely. Your employees can enjoy “laser focus” marketing with Magento. This advanced functionality allows you to add the personal touch to your interactions with customers. Magento is great when you have a powerful customer relationship management (CRM) program, in place. Magento is a favorite for those who are hands-on. You can change your server, if you want. Its open source might enable more extensions to be made by third-party developers. You need to have some technical expertise to unleash the full power of Magento. When Should You Use Magento? Experts suggest that medium to large enterprises might prefer Magento. This is because there is a steep learning curve for initially setting up your product description segmentation. But, once you accomplish this task – you will be glad you did. You can more easily change characteristics, offer more detailed insights, assign discounts and reward customer loyalty with Magento. It is like those who spent years, planning their wedding. In the end, all of the extra time and effort will pay off with a superior once-in-a-lifetime event. Every aspect of administration, product builds and front end functionality are customizable. When you have more complexity in your industry – for discounting, pricing or fulfillment – then Magento is preferable. You will also be able to select your own server with Magento. Magento Enterprise is so powerful, you need to know how to handle it properly. Both Magento and Shopify offer sold ecommerce platforms to start your online store. If you have sound technical knowledge of how websites operate then Magento is the right choice for you as it allows your for unlimited customizations and expandability. If however you feel like you do not want to get too bogged in technical learning curves and just want to get on with selling, then Shopify is the platform for you. Shopify’s “out of the box” setup allows you to concentrate on listing your products straight away and letting your site grow organically until it achieves an authoritative presence within the Google index. Or to pit simply, it starts to rank so people can find you.